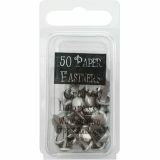 Metal Paper Fasteners 7mm 50/Pkg - CREATIVE IMPRESSIONS-Metal Paper Fasteners. 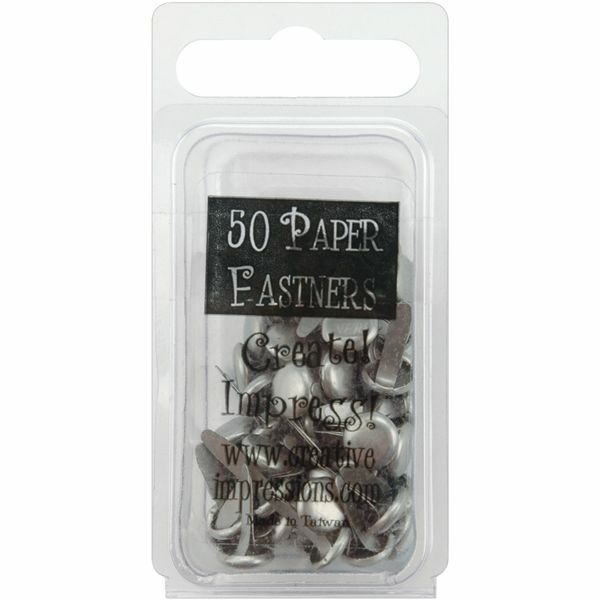 Great shaped brads for fastening paper, embellishments, tags and more to scrapbook layouts, greeting cards and other paper craft projects. Package contains fifty metal brads. Available in a variety of shapes and colors (each sold separately), all are approximately 3/8in. Imported.